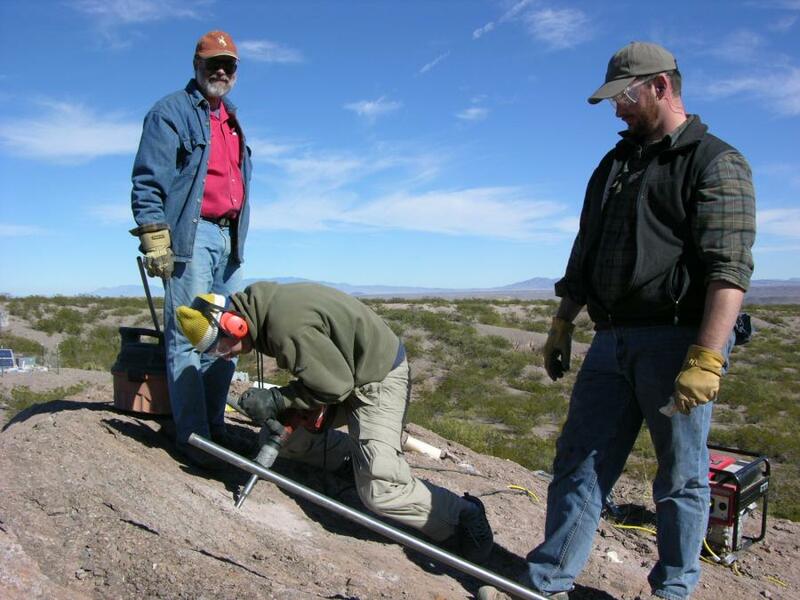 Two permanent GPS sites were installed by contingents from UNAVCO, Georgia Tech, New Mexico Tech, and the New Mexico Bureau of Mines and Geology in November 2005 north of Socorro, New Mexico. The two short drill braced monuments were installed in bedrock in the Sevilleta Wildlife Refuge over the Socorro magma body. The magma body's presence at 20 km depth has been known since the 1960's, and long-term steady uplift of a few mm/yr has been observed. However, recent GPS campaigns beginning in 2002 have revealed potentially large transient uplift events that may be due to a shallower body. Continuous measurements will illuminate the nature of the time-varying deformation behavior due to the magma body's influence.